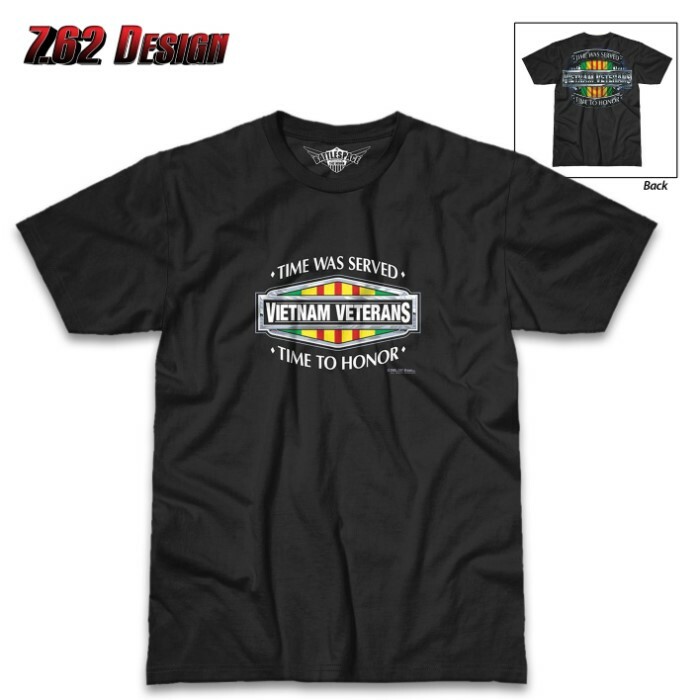 Vietnam Veterans Time Served Black T-Shirt - 100 Percent Cotton, Athletic Fit, Tagless, Screen-Printed Original Artwork | BUDK.com - Knives & Swords At The Lowest Prices! This t-shirt was inspired by the Vietnam Service Medal. This solemn design memorializes America’s time served in the Vietnam War. With clean, classic lines, we salute these valiant troop’s selfless dedication to duty. The black mid-weight, 100 percent pre-shrunk cotton has an athletic fit and is tagless for comfort. The all-original, patriotic artwork is screen-printed on both the front and back of the shirt. 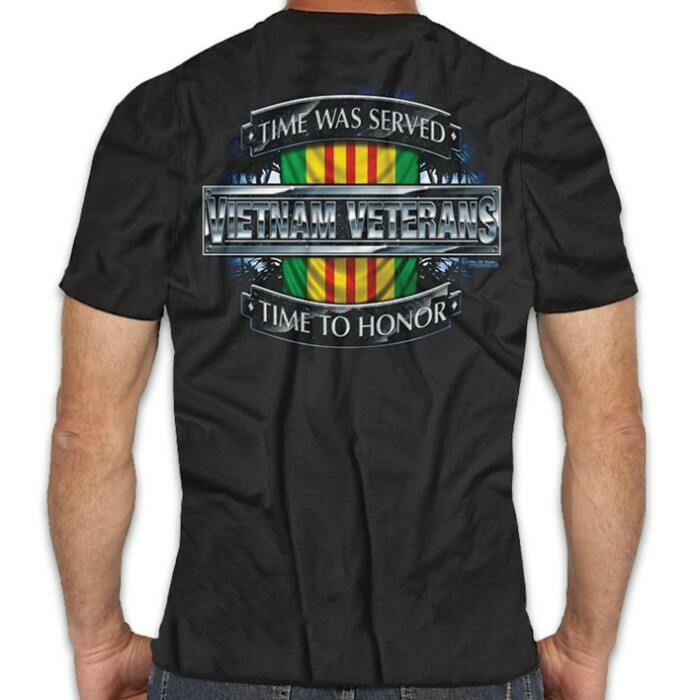 The front has the words, “Time Was Served, Time To Honor” and “Vietnam Veterans” across the Vietnam Service Medal and the back has a larger similar design. Proudly designed and printed in the USA, the t-shirt is available in sizes large, 1XL and 2XL. 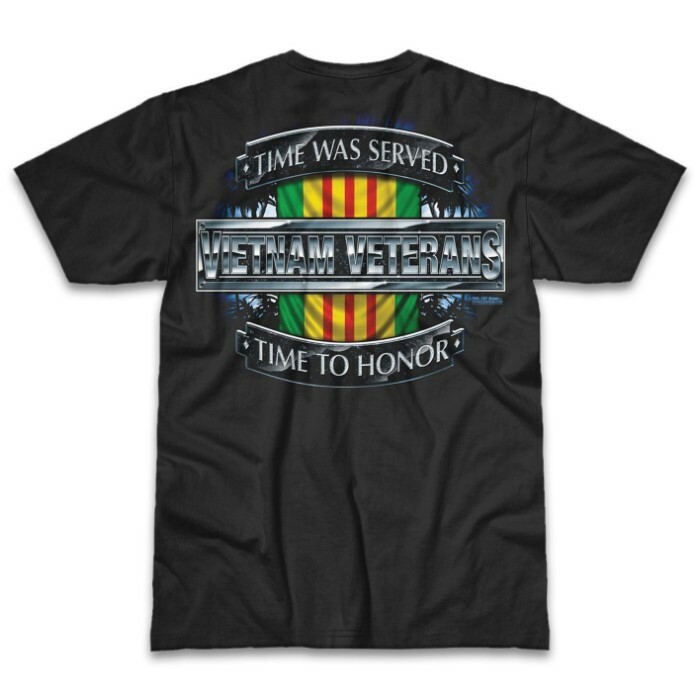 Perfect for any Veteran or supporter!